Avataric periods are like the springtide of creation. They bring a new release of power, a new awakening of consciousness, a new experience of life, not merely for a few, but for all. Qualities of energy and awareness which had been used and enjoyed by only a few advanced souls are made available for all humanity. 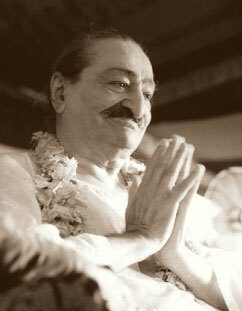 Merwan Sheriar Irani, known as Meher Baba, was born in Poona, India, on February 25, 1894, of Persian parents. His father, Sheriar Irani, was of Zoroastrian faith and a true seeker of God. Merwan went to a Christian high school in Poona and later attended Deccan College. In 1913 while still in college, Merwan experienced a momentous event…a meeting with Hazrat Babajan, an ancient Muslim woman and one of the five Perfect Masters of The Age. Babajan gave Him God-Realization and made Him aware of His high spiritual destiny. 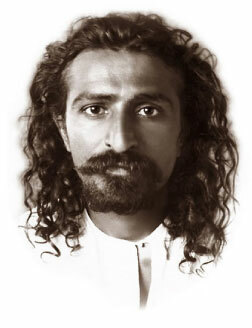 After years of intensive training of His disciples, Meher Baba established Meherabad, a colony near Ahmednagar. Here, the Master’s work included a free school where spiritual training was stressed, a free hospital and dispensary, and shelters for the poor. No distinction was made between the high castes and the Untouchables; all mingled in common fellowship through the inspiration of the Master. To his disciples at Meherabad, who were of different castes and creeds, He gave a training of moral discipline, love for God, spiritual understanding and selfless service. Meher Baba told his disciples that from July 10, 1925 He would observe Silence. He maintained this Silence until the end of His life, January 31, 1969. His many spiritual discourses and messages were dictated by means of an alphabet board. Much later the Master discontinued the use of the board and reduced all communication to hand gestures unique in expressiveness and widely understood. 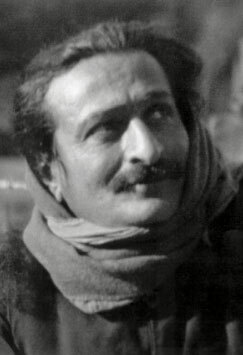 Meher Baba traveled to the United States six times, first in 1931, when He met His early Western disciples. His last visit to the U.S. was in 1958 when He and His disciples stayed at the Center established for His work at Myrtle Beach, South Carolina. In India as many as one hundred thousand people have come in one day to seek His Darshan, or blessing; there are those who journeyed from all over the world to spend a few days, even a single day, in His presence. 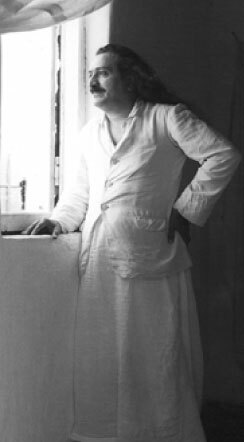 An important part of Meher Baba’s work through the years was to contact and personally serve hundreds of those known in India as “masts.” These are advanced pilgrims on the spiritual path who have become spiritually intoxicated from direct awareness of God. For this work He traveled many thousands of miles to remote places throughout India and Ceylon. Other vital work included the washing of lepers, washing the feet of thousands of poor, and distribution of grain and cloth to the destitute.